We are back from Alt Summit (check back for a recap soon! ), this was the first year we didn’t have to host, teach or speak and it was so nice!! But we couldn’t help but reminisce about past parties like our Garden Party with Cricut, or our Munchkin at Heart Party. 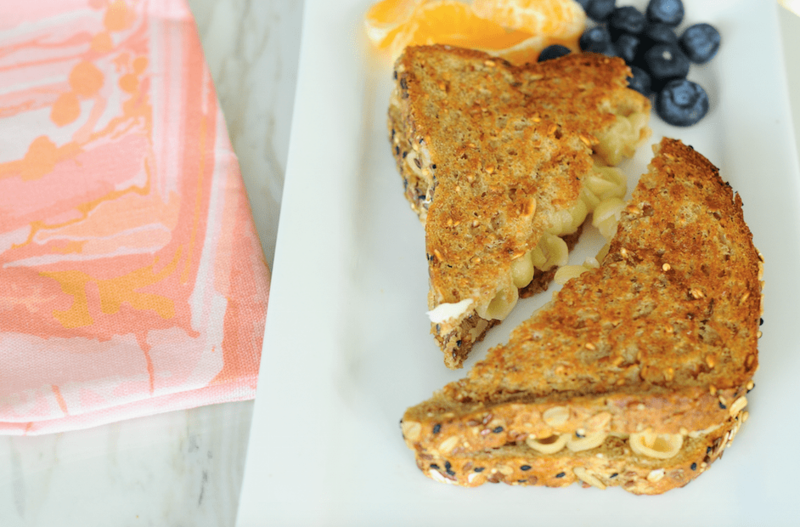 Then we got craving the crazy amazing food and bada-bing bada-boom time to whip up some Grilled Mac and Cheese Sandwiches. One long tasty train of thought, right? We knew our boys would love it and sure enough..
Our 2016 partnership with Annie’s is always proving useful when these cravings hit. 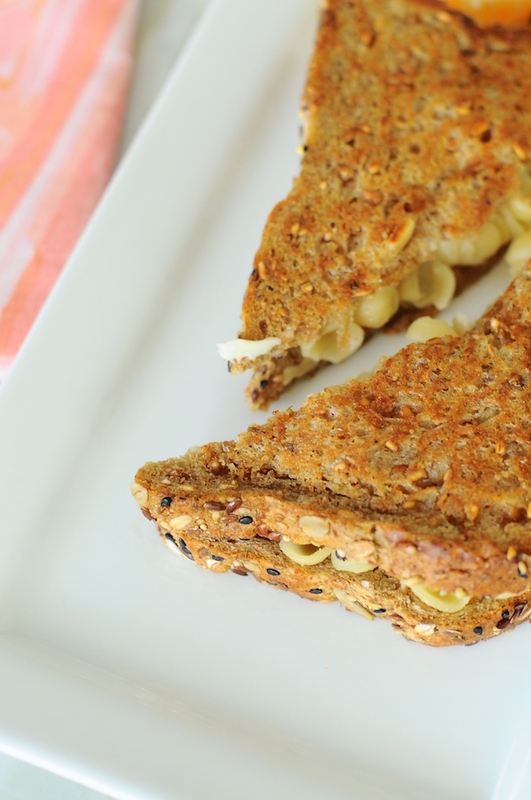 First, grab some whole grain wheat bread, Annie’s Organic Grass Fed White Cheddar Shells. 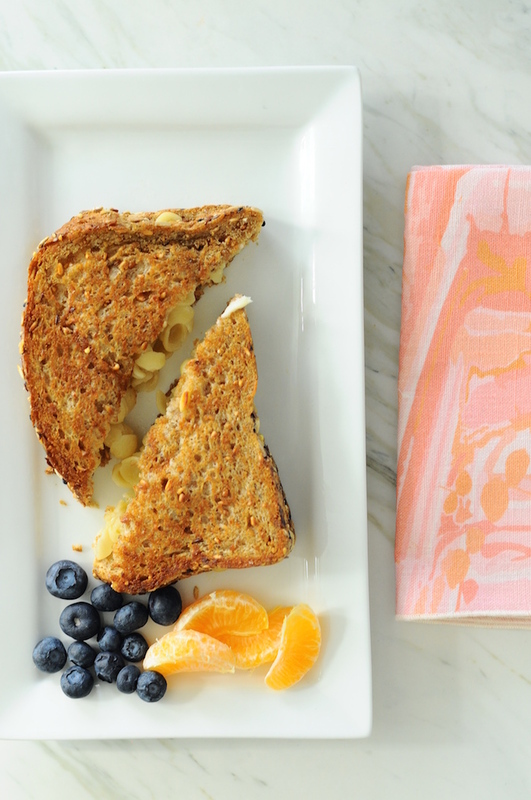 Then whip up your grilled cheese as normal, just swap out the sliced cheddar for the cheddar shells! Slice and eat! Such carb-y goodness! This post is sponsored by Annie’s, we love being on #teamannies and as always all opinions are our own!